Following the Mediterranean diet may help reverse a condition known as metabolic syndrome, new research suggests. This particular study compared a low-fat diet (fad which mainstreamed in the 80’s) to a Mediterranean diet- (a diet which is lubricated in farm-driven, extra virgin olive oil with whole grains, vegetables, fruits, legumes, nuts, fish and even a little wine.) The Mediterranean diet was supplemented with either extra nuts or extra virgin olive oil. First, what is Metabolic Syndrome? Metabolic syndrome is a cluster of conditions — increased blood pressure, a high blood sugar level, excess body fat around the waist and abnormal cholesterol levels — that occur together, increasing your risk of heart disease, stroke and diabetes. The Mediterranean diet didn’t lower the odds of developing metabolic syndrome or Syndrome X, compared to following a low-fat diet, the study found….BUT– the Mediterranean diet did increase the chance of reversing metabolic syndrome, said lead researcher Dr. Jordi Salas-Salvado, a professor of nutrition at the Universitat Rovira I Virgili and Hospital Universitari de Sant Joan de Reus, in Spain.”It seems that the Mediterranean diet supplemented with nuts or virgin olive oil has similar effects on the metabolic syndrome reversal,” he said. Those on the Mediterranean diet with extra olive oil were 35 percent more likely than those on the low-fat diet to reverse the condition and those on the Mediterranean diet supplemented with nuts were 28 percent more likely to reverse metabolic syndrome, according to the study. Research results were published online Oct. 14 in CMAJ. The Spanish government funded the study. A Mediterranean diet has been shown to be helpful for people with cardiovascular disease, diabetes, high blood pressure and metabolic syndrome, according to background information from the study. In the study, Salas-Salvado’s team looked at almost 6,000 men and women at risk for heart disease. At the start, almost two-thirds had metabolic syndrome, which increases the risk of heart disease, diabetes and death, according to the study. 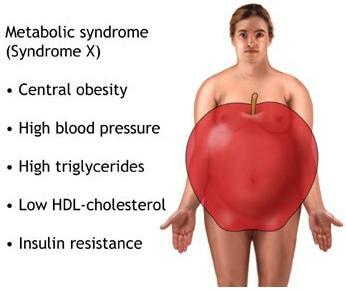 Metabolic syndrome is diagnosed when three or more of five risk factors are found: large waist, high blood pressure, low “good” (HDL) cholesterol, high triglycerides and high blood sugar, according to background information in the study. After a follow-up period of about five years, 28 percent of those who had metabolic syndrome at the start did not have it, the study found. Those who ate the Mediterranean diet were more likely to reverse the condition, the researchers reported. Those who ate the Mediterranean diet also had a decrease in belly fat, which is known to increase heart disease risk, according to the study. Many ingredients found in the Mediterranean diet can explain these effects, Salas-Salvado said. 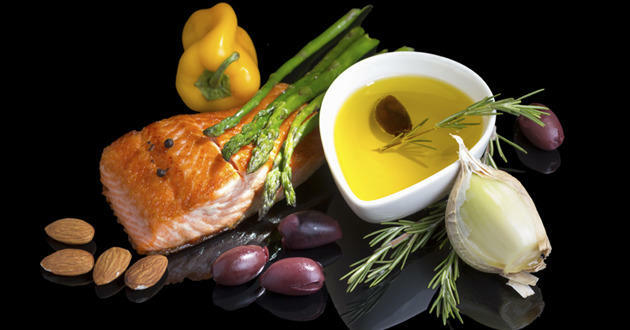 Monounsaturated fatty acids (MUFA), which are found in quality extra virgin olive oil, replace saturated fatty acids in a Mediterranean diet, and this helps the cholesterol profile and insulin sensitivity (which decreases type 2 diabetes risk), according to the study. Olive oil-rich diets have been shown to reduce blood pressure, he said. And most nuts are also rich in MUFAs, according to the U.S. Centers for Disease Control and Prevention. The new findings add further proof that the Mediterranean diet “can play a role in overall health promotion, not just cardiovascular disease prevention,” said Connie Diekman, director of university nutrition at Washington University in St. Louis. This study also replicates other research that suggested that the diet could have an effect on belly fat, she said. ”What is important, and this has been observed in other studies, is that the Mediterranean diet can aid the reduction in central obesity, a key factor in development of metabolic syndrome,” Diekman said. 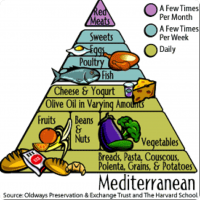 It’s definitely possible for people in the United States to adopt the Mediterranean style diet, Salas-Salvado said. The foods are at hand, but Americans may need to devote more time to preparation and cooking, he said, as well as taking time to eat the foods so they enjoy them. Also, the Food we eat must be of quality. Extra Virgin Olive Oil. for example, needs to fresh and farm, not commodity, driven. This entry was posted in healthy oil and tagged extra virgin olive oil, lower belly fat, metabolic syndrome, olive oil. Bookmark the permalink.